My son is three. He is very aggressive. He is not cognitively delayed, seems bright, knows his alphabet, can count, is learning to recognize letters and numbers by sight. He does fine with the school curriculum, learns the songs, participates in conversations with his classmates, is attentive during circle time. Will I have to keep him in a special ed classroom when it’s time to go to kindergarten even if he can pass the kindergarten assessments? How can I help him at home? I don’t want him to get behind in in his cognitive skills by putting him in special ed. You have a three year old child who is bright, knows his alphabet and can count, is learning letters and numbers by sight, interacts with other children, and you are thinking about putting him in a special ed classroom? Why? Because he is aggressive? I would not advise putting your son in special ed where he is likely to be viewed as a child with emotional problems and/or the victim of poor parenting. Most special ed teachers are not trained to deal with aggressive children. Mental health professionals are. I am concerned that placing him in special ed may do more harm than good. I have a suggestion. Get the book “1-2-3 Magic“ by Dr. Tom Phelan. The 1-2-3 Magic technique is easy to learn and implement – and it works. Dr. Phelan gives you a simple, kid-understandable, quick-to-implement, & quick to explain method and strategies. This program is very effective with aggressive children. Give the 1-2-3 Magic method time to work while you are waiting for the results of the comprehensive evaluation. This entry was posted in Advocacy, Eligibility, Independent Evaluations, Strategies and tagged Aggressive Behavior, Autism Spectrum, Comprehensive Evaluation, Preschool by Wrightslaw. Bookmark the permalink. I also help him out with my full attention, empathy, understanding and I often offer him the right words for his expression. But, school is a nightmare for both of us. He was recently restrained 2ce in a week. I still do not have the details of the methods used. I’m bothered as I am very certain it’s NEVER going to be helpful for him. How do I get the school to try my methods? Does your son have a current IEP. The reason I asked is because you could have an FBA function Behavioral Assessment Done and then a BIP Behavioral Intervention Plan put into place. If your son has an IEP you can also request a meeting and go over your idea of how to work with your son. The school should be willing to listen and implement your idea otherwise your son could be losing FAPE free appropriate public education. I disagree with your comment on Special Education Teachers not being trained to deal with children with aggressive behaviors. I am a Special Education Teacher and also have my Masters in Special Education in both programs I received extensive training on how to address the needs of children with agressive behaviors. Many of whom are on Behavior Support Plans. We also are trained on how to teach chidlren alternative behaviors that are socially appropriate or giving them access to the necessary coping skills needed to be successful. I am a Marriage and Family therapist and refer parents to 1-2-3 Magic all the time. It is super. I usually recommend they get the video or CD and watch it together, because two people reading a book often get different things out of it. If they watch it together, they can stop it and discuss it, assuring them working together on it. I even recommend they have grandparents, sitters, even teachers also watch it. We went through this with my son. He was in G-T program in school and it was still too simple for him. He just needs to be challenged and he has been diagnosed with ADHD and has Asperger’s syndrome. Meaning he has sensory issues, is active, and is extremely smart. He is very hands on…and very strong. He is home schooled and is doing very well. He knows that he has to keep himself busy. I agree that you should not jump into special ed, but first have your child evaluated . I prefer a team approach ( some hospitals or centers have this) over one doctor/psychologist’s opinion, especially if they have spent very little time with your child. It’s a bad sign if after 15 minutes they pronounce a diagnosis or hand you a prescription. It also helps if they put together a comprehensive report which they can’t really do if they haven’t done much of an evaluation. I would also consider getting the name of a behaviorist in your area who will come to your home , observe him, hopefully be able to determine when he is getting aggressive and put a plan together with you. “Explosive Child” is a great book. Also consider reading “No More Meltdowns” by Jed Baker. FWIW, my son has cognitive/learning delays and autism and he exhibits aggressive behavior at the age of 7 … and he is in a neurotypical classroom, 100% mainstreamed. Aggression doesn’t mean sp.ed … he needs a functional behavior assessment and you need some help learning to implement behavior strategies. “1-2-3 Magic” is a good suggestion, but don’t get disheartened if it doesn’t work. There are other ways to manage behaviors, as well. Good luck! Also check out Dr. Ross Greene’s ‘The Explosive Child’ – it has been a life saver for many. You may also want to try a OT for a Sensory Evaluation. My son was acting aggressive and it turned out he is a sensory seeker and it was the only way he knew how to get his input he needed to “wake” up his body. After working with an OT he has better ways to get the input he needs. Just look up Sensory Processing Disorder. The Out-Of-Sync Child is also a good book. I agree that NO IEP is better than the wrong IEP. “The ExplosiveChild’ by Dr. Ross Greene saved my family and my sanity. The agression is a form of communication; it could be that he has some thinking skill deficits that have not beenidentified yet. Take a look at http://www.thinkkids.org and /or http://www.livesinthebalance.org. Both are great resources for working with children with behavioral challenges. Best of Luck, glad you’re catching it early. Based on my experience (boy now 7.5) I STRONGLY but respectfully disagree with the above. Yes, this may be the typical (allopathic) next step. But, based onmy EXPERIENCE (done that been there) i’d like to save you some time and money. What was MOST EFFECTIVE for me, my son responded to BIOMEDICAL support. After wasting time, money and a lot of energy with the “best of the best” the allopathic model has to offer, I always felt like I was being ripped off. I started researching…. PLEASE READ Dr. Ken Bocks book The New Childhood Epidemics. Adrian Did the school put their reasons for denying you the ESY in a Prior WRitten Notice document? They must do this. Also you can refuse the sign that part of the IEP or the entire IEP if you want. They again must write you a prior written notice letter. After that you may need to consult with a special ed advocate (many groups such as Learning Disabilities Association or other support groups can provide this). Last resort you may need to consult with an attorney. My son is at grade level and is going to the 5th grade, however, his school is telling me that he no longer qualifies for ESY. My son is Dx with ADHD/Emotional Disturbance and can be very aggressive. He has a regular Mental Health therapist and is currently on several medications. The medications are reveiwed often. Has was labeled as severe delayed but has overcome that obstacles with meds, therapy, parental involvement, and support from the schools. He also has had a 1:1 aid in the classroom that they wanted to take away this year. I fought for that. My stand on this is that because my child has done well academically he is still struggling tremendously emotionally and needs structure throughout the entire school year and his doctor has written a letter to recommend this. The school still are saying NO……What is my next step? Thanks so much. I know my grandson is a handful but I think with patience and the right attitude we can help him. The answer as to whether this child would benefit from a special education preschool is “It depends”. It depends if the child is aggressive both in a preschool setting, at home, or both. It also depends on the quality of the special ed. programs in your area. There can be wide disparities in quality as you can see from the different posts. If the child is OK in preschool but challenging at home, then a home based intervention like 1-2-3 Magic is great. Seek out professional help if this didn’t work. 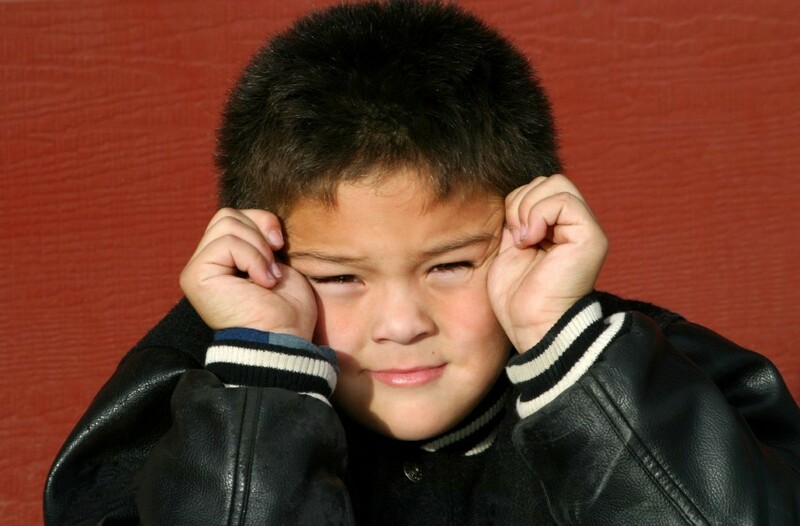 If your child is aggressive in a preschool setting, then it is advisable to have a special ed. evaluation and placment, agian if the programs are good. This child can be at high risk for significant problems and an ED label in kindergarten which can be avoided with good school-based behavior intervention in preschool. Have 14 yr old adopted son diagnosed with Reactive Attachment Disorder/Mood Disorder/ODD/ADHD/Juvenile Bi-Polar. He was just released from Psych. Hospital & med’s administered. I, mom, was advised to discontinue Homeschooling due to risk of danger to mother figure or to harming himself w/anger outbursts. Enrolled son into school system & have started IEP. We have briefed admin. of his challenges & copy of psych. eval’s. IEP mtg.#2 is this coming Wed. after completion of assessments/testing. What goals/statements MUST be written in his IEP? Note: Due to anger toward Mother figure in his life due to RAD…any statements in IEP to be written pertaining to such? Sample IEP for such disctructive behaviors much appreciated. I wish my son had had such well worded advice when he was three. Instead, we had an HMO and were referred to a psychiatrist who prescribed Ritalin. This worked, despite the opinion of a pediatric neurologist who noticed a irregularity in bilateral coordination. Later we found out that he not needed O.T., but vision therapy. He had a fluid filled saccule in his cerebellum which influences probably fine motor abilities and memory. I found all this out after 5 1/2 years of dealing with people in the public schools who told me either to medicate him more, or that he was “emotionally disturbed”. The methodology involved in instituting behavioral change as outlined in the Hughes Bill in Calif. were either unknown or unheeded. He succeeded in 2 private schools where a nurturing teacher with discernment personally invested time. It is true, you do need to get a professional evaluation on your son. My son is 7 yrs old, and he was diagnosed with ADHD, ODD, and Bipolar at 5. He too showed lots of aggresion. I went to his pediatric doctor, got a refferal to a psychiatrist. I took him to 3 different doctors, all said the same thing. My son is in Special Ed, the school trys to have him in a regular class as much as possible. He attends a Behavioral Modification Class (BMC) He does and is expected to do the same work as all the other 2nd graders. He is very smart, and the best thing that I did for him is getting him in Special Ed. Being in Special Ed, he has rights and is protected by different laws. If your son does happen to need Special Ed, make sure you ask questions, and read up on everything. Make sure you are involved in you child’s education at all times. After being a victim of the special education process for years. I have decided that I would never place a child in special education or even label a child with some form of a disability. Research shows that when a child is placed in special education, teachers automatically lower their expectations of that child. I believe in Positive Behavioral Intervention and inclusion. Placing a child in Special Education would make the situation worse. My son was aggressive at that age, which it turned out, was due to a genetic condition, speech and developmental delays. It was almost like dealing with an autistic kid. We had a professional suggest “1-2-3 Magic” which did not work for us — it was too simple of an approach for a complex problem. Part of the problem was my son being unable to cope with my ex losing his temper every day. I didn’t cope well either and after my ex refused counseling to deal with his anger we eventually divorced. In addition, my son needed behavior therapy (same thing autistic children receive) and a lot more structure. My son was strong-willed and resisted when we first began a structured discipline program. We are against psychiatric meds, and my son has done well without these. He now chats with other kids at school and acts like a normal teen. 1-2-3 Magic is great when a child is 3. However, teachers will not count to even 2 at school. This worked great for us until we realized this was a huge problem at pre-school. Teachers can’t or won’t implement this system. I so agree with Wrights law. No IEP is better than a wrong IEP. My child has suffered for years because of a wrong diagnosis and IEP. School failed the child and now attends a special school, May everyone realize getting services is important but not if it’s the wrong services. My child was the same 10 years ago as this letter states this child is. The 123 magic did not work, psycologist did not work, and IEP did not get followed properly. Plus a diagnosis of ADHD which in turn turns out to be CAPD-SPD. Be sure your child’s doctor does all tests to rule out copy cat problems. And my biggest lesson never believe the schools. They take the least cosly road. Which has turned out to be most emotionally ineffective to my child. Educate yourself and get an advocate to help you do so. 1- Children classified with an emotional disturbance have the worst outcomes of any group of children with disabilities. 2 – Most drop out before they complete high school. 3 – The “ED” label sticks to the child like it was attached with SuperGlue – and it’s nearly impossible to get it changed. 4- Most school staff are not qualified to “diagnose” a child with any psychiatric condition – they are not trained or licensed to do so. My position is that no IEP is better than an inappropriate IEP that does not meet the child’s needs. An inappropriate IEP leads to delays getting a proper diagnosis and treatment plan in place. As a special education teacher who has seen a number of children go through preschool services, they can be very good, but when it is behavioral services in the home are best. I would check into seeing if he qualifies for any services in your home. This will help you in knowing how to help him in your personal environment at home. You are welcome to email me through my website with more specifics and I will be glad to help further. It is hard to give you much helpful resources or information without more information but I can understand you not wanting to share personal examples. My website is http://www.everyonecanlearn.wordpress.com I will be more than happy to help you in coming up with a plan. My experience tells me that you need more information. Read the article “Emergency, Help, Crisis” on the main website. It is in essence the same situation you are in right now. Everyone wants you to do something quick, to get the aggression to stop. But without understanding the “why” of the behavior, it would be sheer luck to hit on the right approach first try. Certainly you respond to your child’s needs and certainly you make sure he is safe and the other children are safe. However, getting the right information is necessary to providing him with the appropriate responses. Take a breath, remember that he is three, very bright, and frustrated about something. Read up on positive behavioral supports. Get supports in place for the teachers at his preschool. You need to understand the ‘why’ first. One more note–the wrong SPED program would be worse than nothing, but a program based on behavioral analysis, if this truly is a tough kid and not just a kid who needs 1-2-3 magic at home, could work wonders. I wish we had access to home ABA three years ago (okay, or now…). This email sounds like it came from me 3 years ago (though my son’s social skills were not quite as good, though better than they are now). I have to disagree. Most MH practitioners will also blame the parents–the only way through this is to work hard to seek out answers about why, and they are likely to be slow in coming. I think having a SPED evaluation makes a lot of sense. An IEP under SED is better than no IEP, IMO. I’d be interested in why it might not be. My son now has a diagnosis of Asperger’s, which is hard to diagnose in preschoolers. If the aggression doesn’t interfere with his participation in school (hard to tell from the letter–we could have said much of that but behavior got our son kicked out of multiple preschools) then an IEP wouldn’t be appropriate, but it seems like an evaluation (even via school) might help! I’d also add that even if you got him into special ed services or a special classroom now, that doesn’t mean he would have a sp ed kindergarten- even my autistic kindergartner with a boatload of services has a perfectly mainstream kindergarten classroom placement. His IEP services are pull-out from his class or are provided in-home.